If your business is growing, chances are your technology plans are at a crossroads. On one hand, your technology agenda is maturing, presenting opportunities to improve productivity, business processes, competitiveness, customer conversions, and more. On the other hand, you face a wide array of barriers to realizing these opportunities. 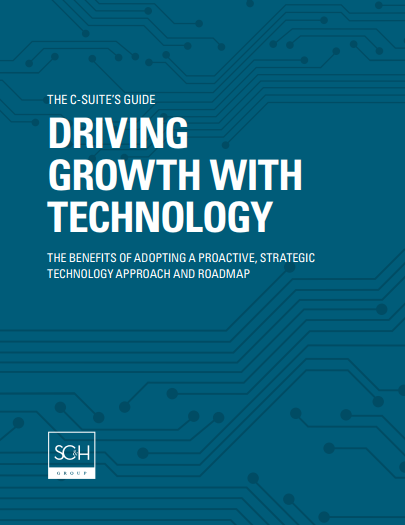 This comprehensive guide explores how to ensure a foundation for your company's success by overcoming existing technology challenges, but also embracing a proactive view of technology for the future -- where it will play a greater role in all aspects of your business.